Sara Gallo- has been in the Real Estate Industry since 2005. She began her career as an Escrow Assistant and excelled in that area for 2 years. In 2007 she decided to challenge herself and obtained her Real Estate License. 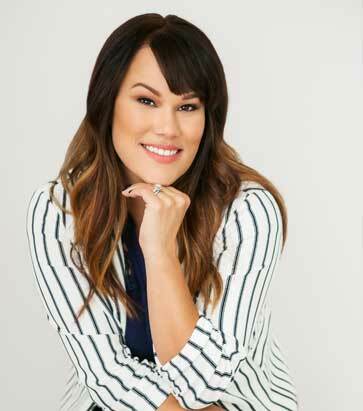 After growing up in the San Fernando Valley, knowing the area extensively she decided to focus her efforts there. In 2011 Sara and her husband decided to purchase their first home in the Santa Clarita Valley and chose to raise the family there. Since moving, she has grown to know and love both the San Fernando and Santa Clarita Valleys. Sara specializes in helping first time home buyers and sellers ensuring they feel comfortable with all aspects of the real estate transaction. She also has over four years experience in successful short sale and loan modification negotiations. She continues to work tirelessly for her clients to ensure complete satisfaction. Sara takes pride in her family, friends and clients. Her number one goal is to always meet and exceed their needs. The highest compliment she can receive is your referral to friends, family and business associates. Sara is a member of the Southland Regional Association of Realtors®, California Association of Realtors®, National Association of Realtors® and Crisnet Multiple Listing Service.